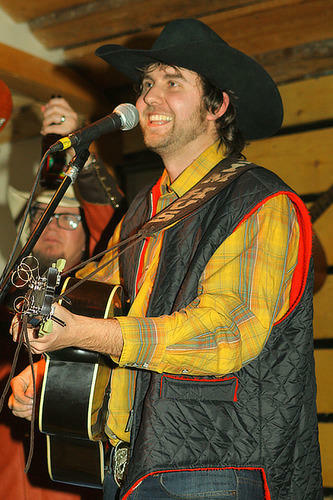 Singer/songwriter Tim Hus from Calgary, Alberta, is part of a new Alberta-based generation of country musician who’s songs tell stories about the Canadian pioneering spirit, truck drivers, miners, rum runners, trappers, men of the land, men of the sea, and vagabonds. Tim’s songwriting has been influenced by a broad range of country artists including; Waylon Jennings, Willie Nelson, and Fred Eaglesmith and his performances are punctuated by humorous song introductions and witty interactions with the audience. Tim on guitar and lead vocals, is joined by Spider Bishop on bass, guitar and backup vocals. We recorded the duo at a house concert in Haines Junction, Yukon, in September 2018.